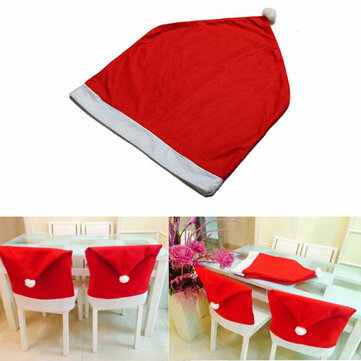 Very festive Christmas decoration Santa Claus red hat chair back cover. Great for home and resturant,party,creatinng a strong Christmas atmosphere. Bring you festive and warm atmosphere all day. Made of high quality,soft,durable and safe cotton material. 2.The colors may have difference as the different display,please understand. Amazing product! Same as above! PRODUTO CHEGOU EM PERFEITAS CONDIÇÕES. Un e allure de fête autour de la table que je recommande.